I enjoyed researching and writing this article. I thought I already knew a lot about dogs, but I learned even more while writing this. 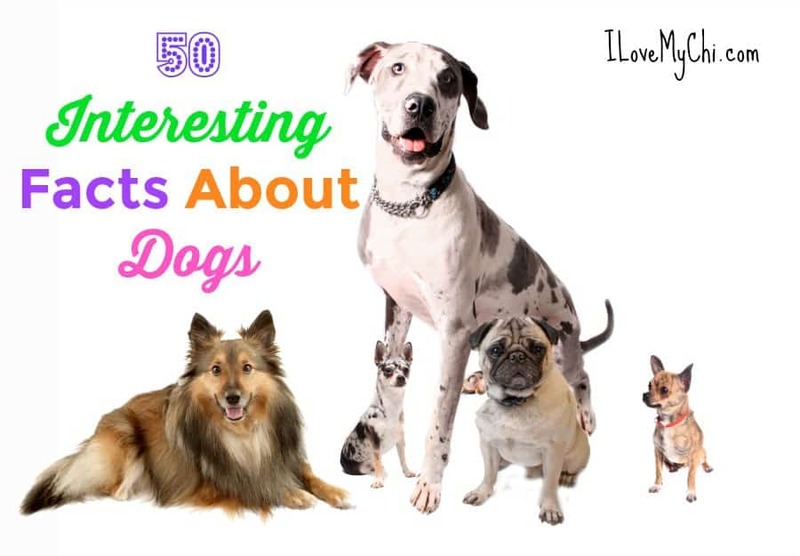 Hopefully, you will learn some new interesting things about dogs too! Dogs are capable of understanding up to 250 words and gestures, can count up to 5 and do simple mathematical calculations. The average dog is as smart as the average 2 year old child. Did you know that more than 5,000,000 puppies are born in the U.S. every year and 1 in every 3 Americans owns a dog. As a general rule, dogs don’t enjoy being hugged as much as humans and other primates. Canines interpret putting a limb over another animal as a sign of dominance. The Beatles song “A day in the Life” has an extra high-pitched whistle, audible only to dogs. It was recorded by Paul McCartney for the enjoyment of his Shetland sheepdog. An interesting fact about Seeing Eye Dogs: Seeing eye dogs pee and poo on command so that their owners can clean up after them. (The command is usually “Get busy!” and pups will pace back and forth until they do their business.) Male dogs are also trained to do their business without lifting their leg. The wetness of a dog’s nose is essential for determining what direction a smell is coming from. 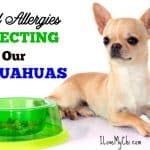 Over 20% of all dogs experience allergies. 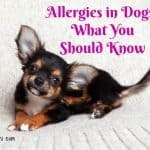 There are 3 main types of allergies a dog can have. The 1st one is an external contact allergy. This means that the dog may be allergic to an element outside of his or her body such as cleaning chemicals on the carpeting that he lies on, a reaction to detergent that bedding or clothing has been washed in, lawn care chemicals on grass that touch the body and more. The 2nd second type of dog allergy is an internal allergy. This will mean that when a dog ingests something, such as a certain food or very rarely a medication, it will trigger an allergic reaction. The 3rd is inhaled. Most common is grass, weed, dust, and tree pollen. The more often you brush your dog, the less often you will need to bathe him/her. Brushing removes dander, dirt and excess oil. Dogs were first domesticated by cavemen. 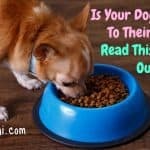 Some things you may or may not know that are dangerous to all dogs are: avocado, Ibuprofen, onions, grapes, raisins, chocolate, coffee, antifreeze (dogs are attracted to it because it tastes sweet), and lava rocks found in BBQ grills (they are attracted to the fat drippings from the meat grilled on it). Dog nose prints are like human fingerprints. They can be used to identify the dog just as fingerprints do. 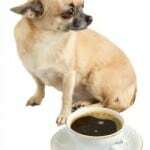 Obesity is the number 1 health issue in dogs. 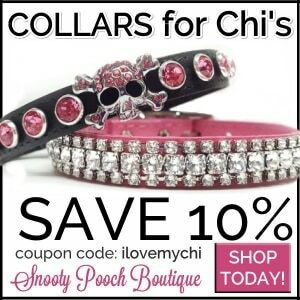 It’s easy to overfeed our Chis because they are so small, it’s hard to believe they need so little. When the Titanic sunk, 3 dogs on it survived. They were a Newfoundland, a Pomeranian, and a Pekingese. The average city dog lives 3 years longer than the average country dog. 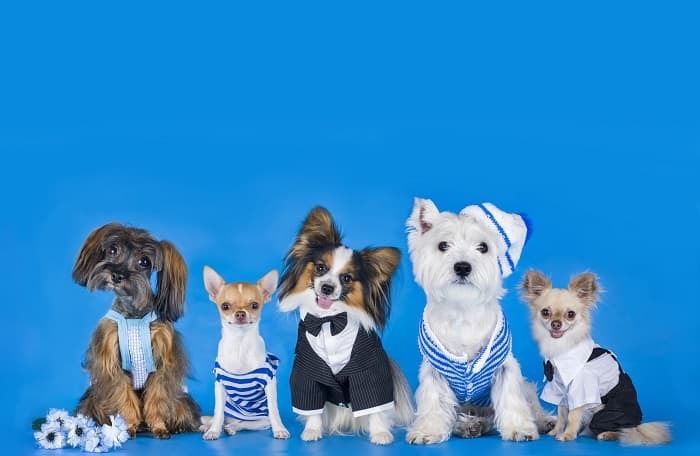 The U.S. has the highest dog population in the world. France comes in second. The mouth of a dog can exert around 150-200 pounds of pressure per square inch. 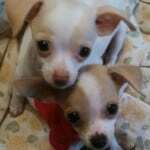 Even little dogs (like Chis) can cause some damage if given a chance. During World War 2, the Russians trained dogs to run suicide missions (poor dogs). If a female dog, her mate and puppies were never spayed or neutered, they could produce more than 66,000 dogs in 6 years. Dogs’ ears are extremely expressive. It’s no wonder! There are more than a dozen separate muscles that control a dog’s ear movements. Dogs curl up in a ball when they sleep due to an age-old instinct to keep themselves warm and protect their abdomen and vital organs from predators. Dogs have about 1,700 taste buds. Humans have approximately 9,000 and cats have around 473. Did you ever wonder why dogs have wet noses? Dogs’ noses secrete a thin layer of mucous that helps them absorb scent. They then lick their noses to sample the scent through their mouth. Although a human’s normal body temperature is 98.6 degrees Farenheit, a dog’s is higher. Normal for them is between 101 and 102.5 degrees. 45% of dogs in the US sleep with their pet parents. 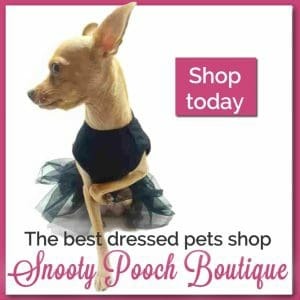 I bet it’s much higher for Chihuahuas but unfortunately, I don’t have the statistics for that. Did you know that dogs have three eyelids, an upper lid, a lower lid and the third lid, called a Nictitating Membrane or “haw,” which helps keep the eye moist and protected. Dogs’ eyes contain a special membrane, called the Tapetum Lucidum, which allows them to see in the dark. You may not know that dogs do not sweat through their skin like people do. Many people believe they sweat through their tongues by panting but this is a myth. Although panting does help a dog cool down, they actually sweat through their paw pads. ‘Frito Feet’ is the name of the phenomenon in which the bacteria on a dog’s paws cause them to smell like corn chips. Because a pup’s feet are in constant contact with the ground, they pick up tons of microorganisms in their paws. When dogs cool off by sweating through the pads of their feet, the combo of moisture and bacteria releases a nutty, popcorn-like aroma. Basically it’s dog B.O. Dogs are creatures of habit. 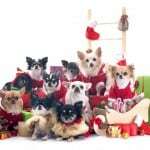 They do very well being on a schedule so try to feed them, walk them, and put them to bed at the same time every day. In 1860′s San Francisco, two stray dogs who were best friends became local celebrities. Their exploits were celebrated in local papers and they were granted immunity from the city’s dog catchers. Seeing eye dogs pee and poo on command so that their owners can clean up after them. Male dogs are also trained to do their business without lifting their leg. The average dog is as intelligent as a 2 year old human. In some cases, a smart dog’s intelligence is equal to a 5 year old human. If your dog seems to shed a lot, you can help control it by rubbing in some olive or coconut oil into your dog’s skin every few weeks. Puppies have 28 teeth. Adult dogs have 42 teeth. That’s more than humans have! Many dogs love fruit (one of mine would rather eat an orange over a steak) but there are a few fruits you should keep away from your dogs. Grapes (and raisins) are one of them. Avocados are the other. Also keep your dog away from persimmon seeds and apple seeds. Did you know that puppies can sleep 20 hours a day? No wonder they have so much energy when they are awake! Another important reason to spay and neuter your dogs: The majority of dogs picked up by animal control officers are un-neutered males. Sadly they are also the majority of dogs that get hit by automobiles. Signs of gum disease in dogs are bright red, swollen, and/or bleeding gums, and bad breath. Also any loose teeth could be a sign of periodontal disease. Most people think that dogs age 7 years for 1 human years. Not quite true. When your Chi turns 1, he is comparable to a young human teenager. By the time he is 2, he is the age of a human adult in their early twenties. After that, add 5 years to each human year. Puppies are born with their eyes closed. They don’t open until they are about 12 days old. Dog fossils were found as early as 10,000BC. People can detect sounds at 20,000 times per second. Dogs can detect sounds at 30,000 times per second. Contrary to popular belief, dogs are not color blind. But they don’t see all the colors that humans do nor do they see them as vividly as we do. We all know that dogs evolved from wolves. But even further back it is believed dogs evolved from a creature called a Tomarctus. A dog’s sense of smell is 100,000 times more powerful than a person’s. All dogs have 321 bones. An un-spayed female dog can mate 2 times a year for about 10 days each time. Does your dog turn around in circles a few times before laying down to sleep? This is because in the wild, dogs would do this to trample down the grass to make a comfortable “nest”. 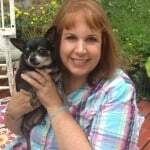 If you enjoyed this article, you may want to read this: 55 Facts About Chihuahuas and History and Origins of Chihuahuas. Wow i just loved to read these facts. They are really amazing. Thanks for sharing.